Mesothelioma, more precisely malignant mesothelioma, is a rare form of cancer that develops from the protective lining that covers many of the body's internal organs. It has also been suggested that washing the clothes of a family member who worked with asbestos can put a person at risk for developing mesothelioma. Most people who develop mesothelioma have worked on jobs where they inhaled asbestos particles, or they have been exposed to asbestos dust and fiber in other ways. Unlike lung cancer, there is no association between mesothelioma and smoking, but smoking greatly increases the risk of other asbestos-induced cancers. The symptoms of mesothelioma include shortness of breath due to pleural effusion (fluid between the lung and the chest wall) or chest wall pain, and general symptoms such as weight loss. 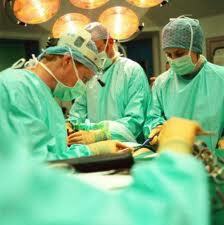 Diagnosis begins with a review of the patient's medical history. 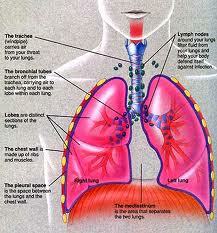 Diagnosing mesothelioma is often difficult, because the symptoms are similar to those of a number of other conditions. 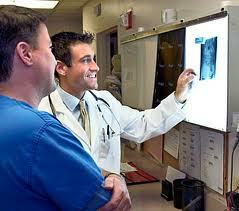 A physical examination is performed, followed by chest X-ray and often lung function tests. A history of exposure to asbestos may increase clinical suspicion for mesothelioma.